LOS ANGELES -- Attention "DuckTales" fans, the first image from the reboot of the beloved 1980s animated series has been released! It was announced last year that the Emmy Award-winning Disney show would be getting a reboot on Disney XD. 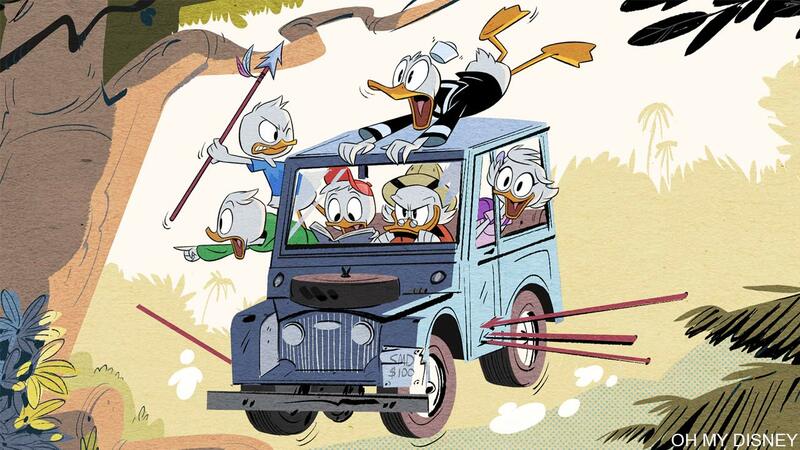 The new series will once again star Scrooge McDuck, grandnephews Huey, Duey, and Louie, and of course, Donald Duck. The newly released image shows the characters obviously involved in some kind of comic misadventure the original show was well known for. Also, the image is animated in the traditional style made popular by the Mickey Mouse short series. The "DuckTales" reboot is set to premiere in 2017. Woo-oo!